Just off Bristol’s Victoria Street, there’s a church with the sky for its roof. 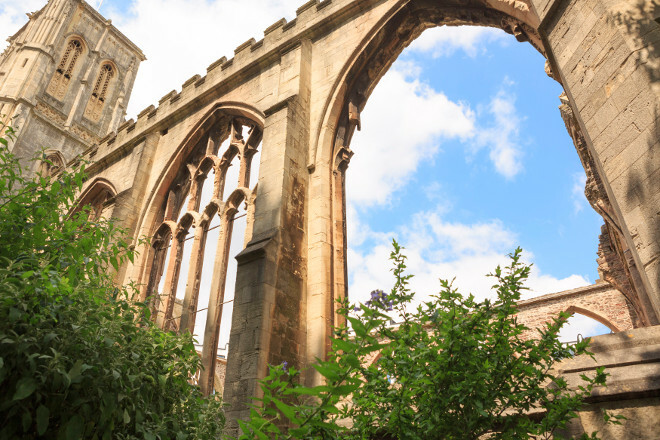 Bombed in World War II, Temple Church is a shell, with only the 11th century walls still intact. For most of the time, it’s closed to the public, but from 29th October for the following 24 days it will become the site of an extraordinary arts venture. As part of Bristol 2015 European Green Capital, Sanctum will comprise a continuous programme of events, including spoken word, music and theatrical performance, from 6pm on Thursday 29th October until Saturday 21st November. 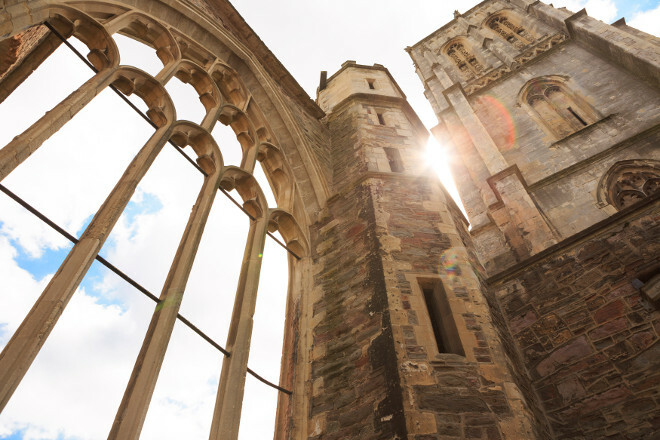 Taking place in the church surrounded by materials reclaimed by artist Theaster Gates from “places of labour and religious devotion across Bristol”, the performances will unfurl day and night, with the schedule a secret so you can never know what you’re about to experience. Characters you could encounter include sonic artist Alice Human, soundscapers Bards of Avalon, playwright and performer Bea Roberts, radio presenter and writer Cheryl Morgan, singer songwriter Isolde, Sleepdogs, and almost 200 others. It looks set to be an entrancing installation that will inspire and intrigue. Find full details at sanctumbristol.com. This entry was posted in News and tagged arts events, Sanctum by Judy. Bookmark the permalink.